Since 1999, Air Technical Services Heating and Cooling has been providing residential and commercial AC, heating and plumbing servicing, installation, repair and maintenance services throughout Long Beach Island and Barnegat, NJ. It has been our pledge since day one to complete every job to our high standards and the satisfaction of our customers, regardless of the challenge. At Air Tech, we don’t just offer installation and repairs, but we also want to ensure your HVAC unit is operating at the highest efficiency possible to maximize comfort and savings. 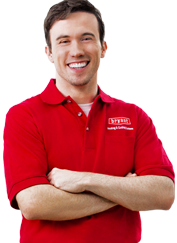 As your reliable and affordable partner in home comfort solutions, our Nate certified HVAC technicians have the superior technical skills, experience and knowledge to maintain any AC unit, no matter the make or model. With regularly scheduled air conditioner maintenance, you can save money on a system that is now performing at its full capacity, rest easy knowing that you’ve prevented problems and saved money on potential breakdowns. In addition, our professional air conditioning technicians will also offer education on how homeowners and business owners can improve the lifespan of their unit with a few DIY maintenance tips like regularly changing the air filter. As a reliable air conditioning maintenance LBI company, we offer a variety of HVAC maintenance service plans to ensure preventative support for your air conditioner, heater, hot water heater and plumbing on an annual basis. Maintenance customers in LBI also receive priority status in the event repairs are needed. As part of the 10-Point Spring Start-Up, we will adjust belts, oil all moving parts and replace filters as needed. In addition, we will check your controls, thermostats and test compressor amps for draw and overload. When you need consistent air conditioning maintenance services at an affordable rate, call the experts at Air Technical Services. LBI residents have trusted us for all their AC maintenance needs since 1999. With more than 20 years providing air conditioning maintenance services in LBI, we get our share of questions about ac and heating. Here are some of the most common questions we hear. The answer to this question depends on a few things such as, the installation of your unit, how it has been maintained over the years, what make and model it is, how many repairs it has gone through as well as how often you use the unit. Considering those factors, most systems have a lifespan of between 10-20 years. But that number can drop down to 7-10 years if it hasn’t been maintained properly. Is annual air conditioner maintenance really necessary? As one of the best ways to increase the longevity of an air conditioning unit and save money on repairs, a regular inspection by a professional HVAC contractor will help to keep your system running at peak efficiency. In addition, neglecting regular maintenance can also void warranties. Since many new air conditioners come with limited warranties from the manufacturer, they won’t provide replacement parts unless the AC was regularly maintained by an HVAC professional. Check the warranty certificate on your own air conditioner to confirm your unit’s eligibility requirements. Can air conditioner maintenance help me save? Before every cooling season, schedule a spring tune-up to ensure problem-free operation throughout the summer months. Due to debris build-up and corrosion to AC parts, a lack of maintenance will cause the unit to work harder than it needs to leading to over-compensation and energy-loss. Scheduling this simple annual home maintenance task can help to save on utility costs as well as potential repair and replacement costs.